Plenty to be pleased about today. It’s nearly Friday! We just released a fascinating podcast with Miriam O’Reilly, who sued the BBC for ageism in a landmark case! 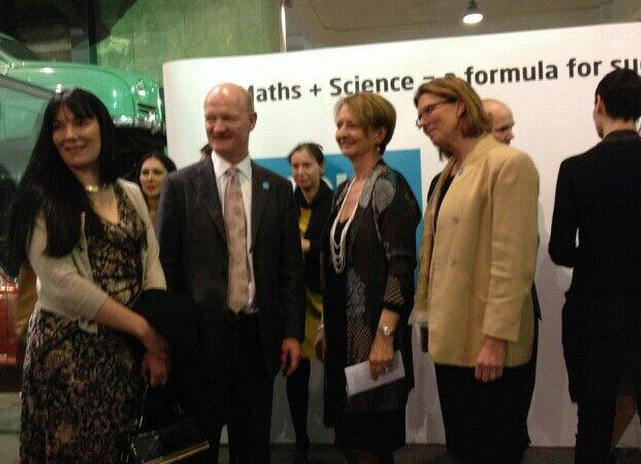 And yesterday, our founder Edwina Dunn was at the Science Museum to celebrate the launch of the Your Life campaign! The mission? To get more young people – especially women – into STEM subjects. 50% more, to be precise. Because at the moment, only 2% of girls are doing Physics A-level. That’s a shocking figure – and one the campaign aims to change, by showing that science subjects put students in good stead for careers in all fields: from journalism to banking to business. Guests at the Science Museum included Education Minister Liz Truss, Chancellor George Osborne, Minister for Universities and Science David Willetts, Science Museum Director Ian Blatchford… and of course, Edwina herself. She’s the chair of the Your Life Board, and made a rousing speech to mark the campaign’s launch. Well. As What I See founder, we’d expect nothing less.